Just 2 himi lionhead bucks available for their new home now. They are bred from BRC rung himi lionhead mum x himi lionhead dad. They can leave now but if you want them vaccinated for Vhd2 for a small extra cost then they can leave from 12th April. Parents are fully vaccinated. They will come with changeover food, caresheet and ongoing advice if needed. They live outside in a shed and have daily exercise in a run with their mum and litter mates so are fine to go to a home in an outdoor hutch or to an indoor home. Mum is doing a good job of toilet training them too. My T&Cs, caresheet and more photos and videos can be found on my Facebook group The Warren Lionheads. 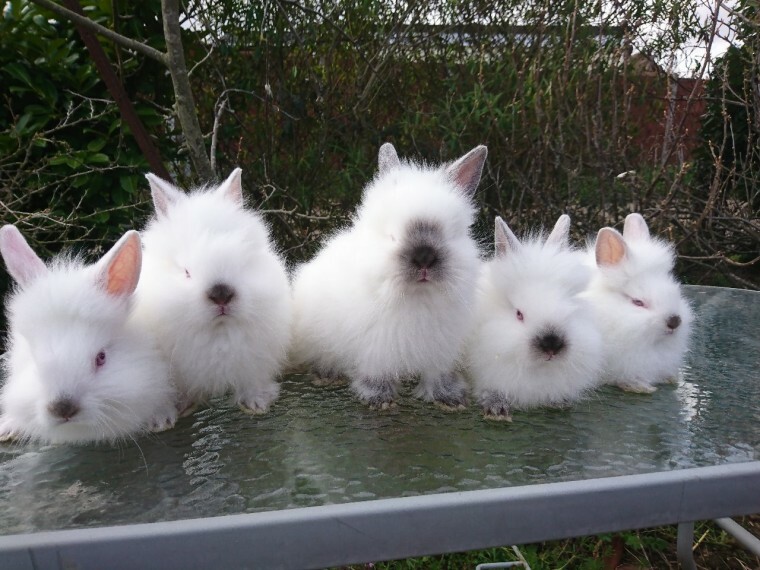 I am a member of the BRC and NLRC and started showing my lionheads a few years ago.